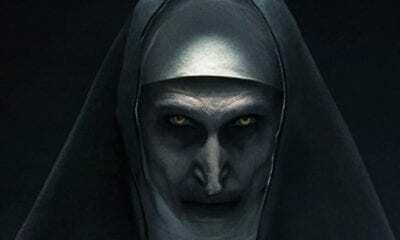 Corin Hardy’s ‘The Nun’, the next entry in the popular Conjuring universe, officially arrived this week and it focused on the demon Valak, who takes the form of an evil Nun, who was featured prominently throughout The Conjuring 2. 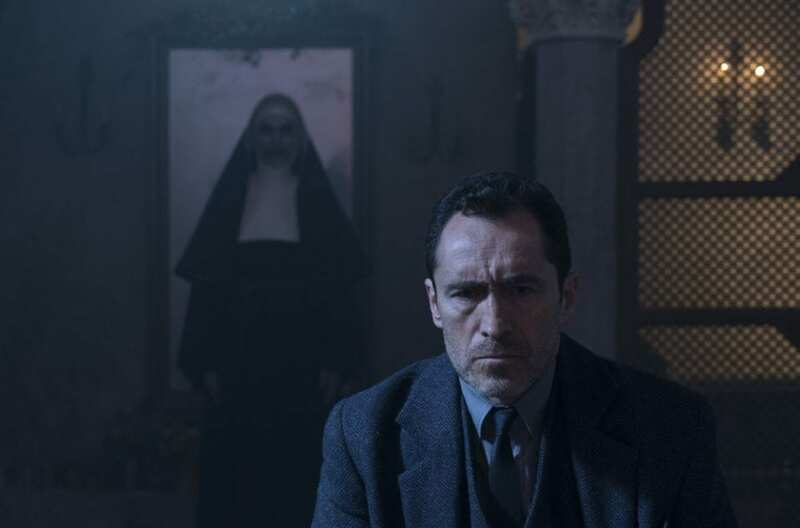 Sister Irene (Taissa Farmiga) is mysteriously summoned to join Father Burke (Demin Bichir) as he investigates the suicide of a nun at a cloistered abbey in Romania, per orders from the Vatican. During their investigation they meet Frenchie (Jonas Bloquet) who is a local farmer that also makes supply deliveries at the abbey, and was the unfortunate person to find the dead nun. Frenchie leads them to the abbey where both Sister Irene and Father Burke continue their investigation. The movie is a complete mess, with no direction, no story, and pointless scenes that just lead you to another jump scare, which is all this movie is. Hardy’s approach is nothing but a money grab, and I found it to be lazy, as the story, the behavior of characters, and the dialogue was so bland and disjointed from the flow of the film, and a complete departure from anything that made The Conjuring scary or interesting. It’s a shame because Valak’s demonic Nun is actually the creepiest character in the universe, and this film could have been so much more, but ended up not being much of anything. After Frenchie’s encounter with a demon in the cemetery, in which I laughed, I knew this movie was going to be nothing like any Conjuring entry I had seen, and would be a complete stinker. At least, I wasn’t disappointed after that. Nonsense floods this movie, so much so that nothing anyone does, says, or how any scene plays out seem to have any true meaning, purpose, or explain anything. If you like jump scares, this may entertain you for a few minutes. Aside from Valak, and the ending which ties to the original Conjuring entry via a flashback, this movie is a complete waste of both money, and time. I did come to once conclusion: Unless James Wan is behind the camera for a Conjuring film, odds are it won’t be anything like a Conjuring film. It feels like Hardy cashed in on the Conjuring popularity, took the money, delivered this junk, and ran.